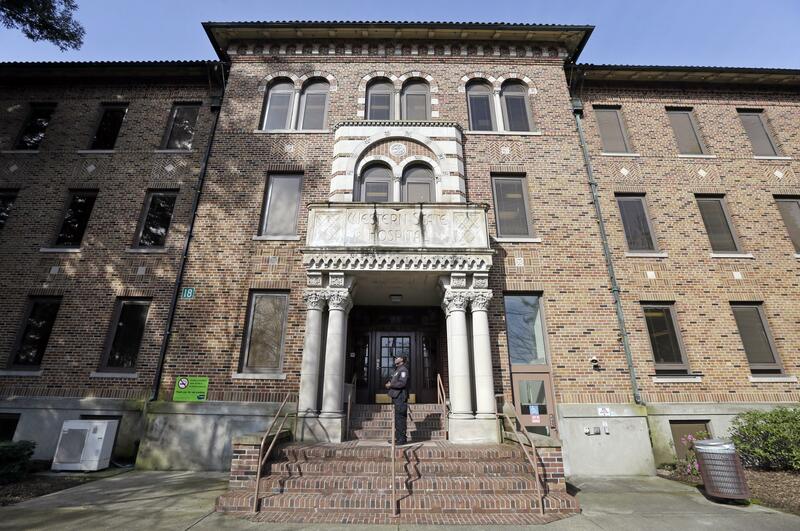 UPDATED: Mon., June 25, 2018, 8:13 p.m.
OLYMPIA – Despite efforts at improvements over the last two years, Western State Hospital does not meet standards and will lose some $53 million in federal funding starting early next month. Without certification, the state stands to lose $53 million for the coming fiscal year that begins July 1. About a month ago Gov. Jay Inslee announced a five-year plan to move the state’s mental health system to a model that has more patients receiving treatment in community settings. Western and Eastern state hospitals would be used primarily for patients from hard-to-place civil commitments and those involved in “forensic” or court-required treatments. Jaime Smith, a spokeswoman for Inslee, said the decision by CMS supports the governor’s proposal to transform the way it delivers mental health care. While state officials felt progress had been made at Western State Hospital, they believed age the facility and the system it uses, which many other states have dropped, would make it difficult to meet federal standards. Inslee will be discussing the loss of federal funding at Western with legislative leaders, but at this point it seems likely they will be asked to cover those costs in the supplemental budget next year, Smith said. The CMS decision does not affect federal money for Eastern State Hospital, she said. Sen. John Braun, R-Centralia, said the decision is not a surprise, considering years of warnings. Earlier this year, Braun sponsored a bill to use state-backed bonds to spend more than $500 million over the next 10 years to increase the state’s capacity to treat mental health. The bill passed the Senate Ways and Means Committee with bipartisan support but never came up for a vote in the full Senate. The state hospitals are under the Department of Social and Health Services. Cheryl Strange, DSHS secretary, said they will continue providing care as state officials review the report and continue to make improvements. Federal funding covers less than 20 percent of the hospital’s overall costs, but will be unavailable after July 8. Published: June 25, 2018, 12:05 p.m. Updated: June 25, 2018, 8:13 p.m.